Since the Neolithic Age, Man discovered flax and hemp textile properties and virtues. Flax and Hemp Ancestral Cultivation. Traces of Hemp cultivation were even found in Anatolia/Asia 850 BC. Confirmed in Brittany France since early 9th century, and been developing since 13th century. Flax cultivation as far back as 8 000 BC in Irak. Confirmed in France over 5700 BC along the coast of the Provence region. In a quick manner, Man used to increase and improve their particular textiles fibres of High Quality. Thanks to a precious Know-How passed down from one generation to the next enable Man to carry out the entire production process in the appropriate manner allowing the most efficient possible use of resources until nowadays. After seeding, grubbing, ginning, a process called "Retting" that was about another technique consisting of letting natural bundles lying on the fields, since rain and morning dew operated naturally the retting process. After scutching, swinging, combing, the process of "Rippling" ; oakum needs to be hand-spun, this task was considered as a job early 18th in France. Using mainly large spinning wheel. Art of weaving; Preparing the loom, weaving, placing the warp is not so easy. First task was to remove the thread from the spindle and to warp the loom, which involves placing the warp threads, or vertical threads, in position on the loom with the threads pulled tight like used to practice the Egyptians. Did you know? the largest number of weavers in Brittany had more than 25000 during 18th century. Then time for Whitening flax and hemp. The most used washing method was to simply add ashes made of Beech; a strong saponifier! sheets, covers, table cloths, and linen garments. Hemp as for manufacturing ropes, sails, bags, hardly fabrics…work clothes in general. A strange habit in France was to leave Rope manufacturing to people affected by leprosy and living outside villages.Then, many forced laborers of the penal colony at Brest were enrolled to rope and sails manufacturing, outfitting the Royal fleet. From 16th up to 18th Centuries, Brittany region was one of the first provinces manufacturing a lot of Hemp Toiles, outfitting many European vessels, Linens were exported to Europe mostly, then exported to Americas. Flax seeds were planted in Brittany, Northern Coast, Hemp was in fact cultivated near the well-known city of Locronan. Later, by 1746-1763, forced labourers of the penal colony in Brest were still enrolled, and seafarers' wives too. 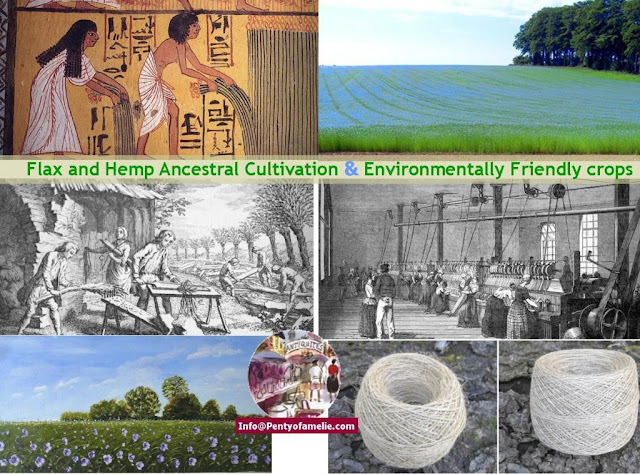 Hemp and Flax Manufacturing decline started since 17th century. Main causes are due to French "internal" religious wars, conflicts with Importers, strong competition with imported cotton from 19th century, of course due also to gradual phase-out of Sailing Ships late 1850s... Last, the intense competition with new mechanized manufactures based in Northern France was terrible and inexorable. until late 1950s providing the spinning sector of the Northern region. Main architectural elements, natural retting basins, whitening process into stone outbuildings and various basins areas, Hemp ovens, interesting weavers’ cottages, press and paper Mills, and of course manufactures. As an outstanding architectural heritage, even nowadays, as lovely Old market halls, private dealers and merchants mansions are still testifying of their wealthy life … also thanks to the good wealth of the towns Merchants at this period, many and many Breton villages did benefit Building places of Worship, as churches and chapels. The last working arm loom is still active with just a handful of people in Brittany nowadays, and manufacturing of flax fibre for fine paper is still used for ancient books' restoration, and also for artists with a dedicated approach of contemporary creation. health and body care purposes. In conclusion.We should note that flax and hemp ever been about environmentally-friendly crops. The opportunities offered by flax and hemp in a developing market for natural fibers should not be lost. May Precious flax and hemp keep used far beyond … the strange synthetic fabrics. 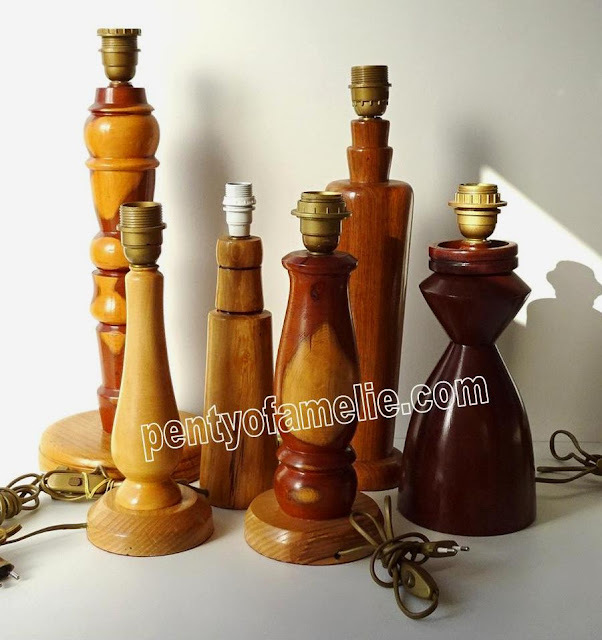 info@pentyofamelie.com is NO longer available. Mireille Darc Talented Documentary Film Director. 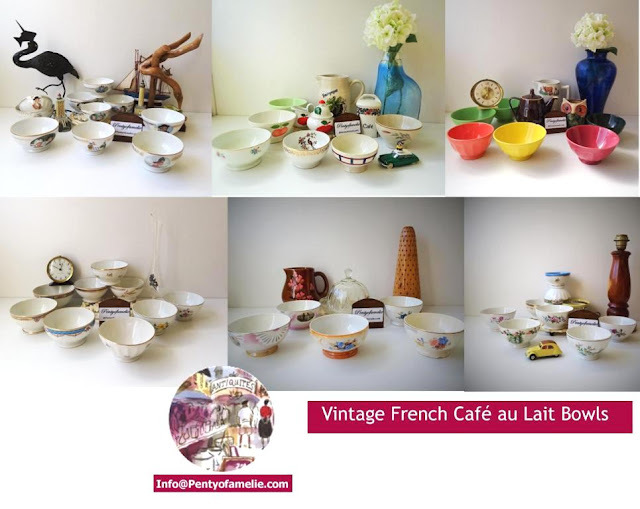 French Vintage Retro Original Latte Bowl Collection Wake up to a Gourmet French breakfast. Gorgeous large, Medium, Small Colorful Latte Bowls, also Soup, Cereal, Hot Chocolate Bols. Either made of stoneware, faience or Limoges porcelain, with a nice hand painted, and transfer ware pattern. 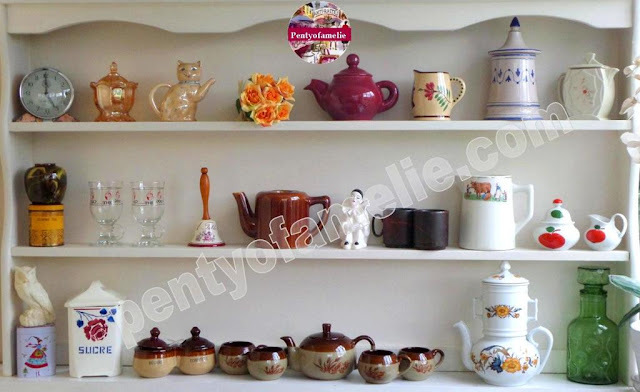 Personally, my French "petit déjeuner" often starts with Multifruit Juice, some seasonal fruits, bread, handmade pancakes or buckwheat cakes topped with homemade Jam with Raspberries, Cherries, Blackberries, and a large old cafe au lait bowl filled of coffee black though:) As Collectors for many years and Flea markets enthusiasts, we have been adding various coffee bowls to our own collection. Vintage Original Framed Oil Paintings Flowers in Vase on Canvas signed Artists Original Bloom Sunflowers in a Vase. Framed Oil On Canvas. 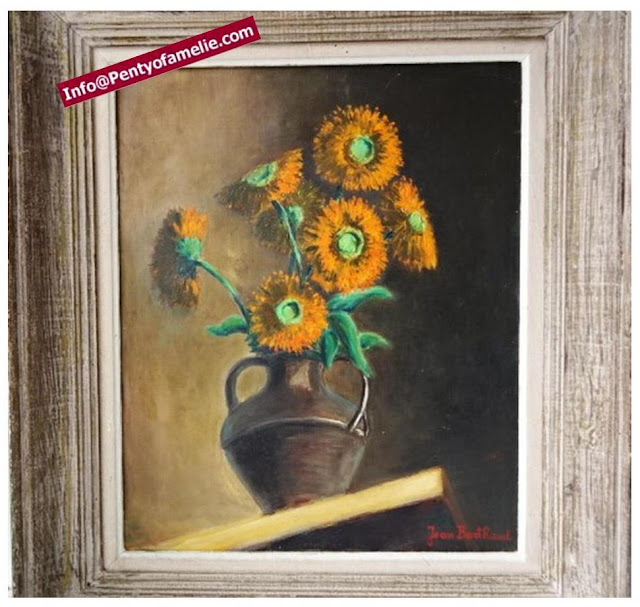 Old French painting depicting vibrant Orange and Green bloom sunflowers bouquet. colorful flowers. Wooden large frame with a nice old patina. signed by Artist JB. dating of 1950/60s measurements: Total dimensions with large frame: 52 x 60 cm/ 20.47 x 23.62 in canvas : 36 x 44,5 cm/14.17 x 17.51 in frame thick : 6 cm/ 2.36 in in pretty good condition the whole, light brown wooden frame. Miss Brittany contest and the Winner is Belon Flat Oyster! Brittany is a cultural region in the north-west of France that provides nearly 60,000 tons of oysters which is about 50% of the French oyster production. 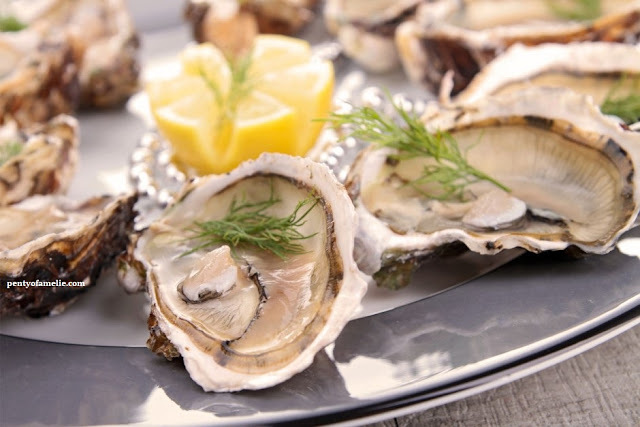 Almost all of the flat oyster in France, as 2,000 tons produced in Brittany, including the famous Belon (Huître plate de Bélon ; Ostrea edulis) oysters and Cancale; a High symbol of the local gastronomy.